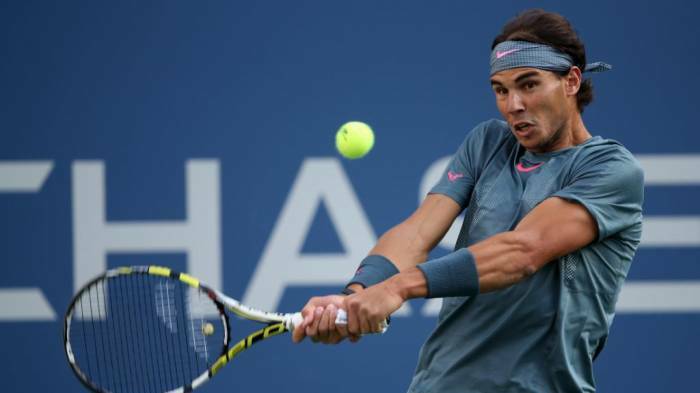 Rafael Nadal came through an early test before proving too good for Taro Daniel in the US Open second round. Nadal found himself in huge trouble on Arthur Ashe Stadium on Thursday, trailing by a set and a break to the Japanese world number 121. But the world number one found his rhythm as Daniel, coming off a five-set win a day earlier, tired, Nadal closing out a 4-6 6-3 6-2 6-2 win. The Spaniard, a two-time winner in New York, will face Argentinian Leonardo Mayer in the third round in what is the tougher top half of the draw. In a grand slam that sees several big names absent due to injury and three top-10 seeds already out – plus Roger Federer surviving two five-setters – Nadal was the latest player to be troubled. The 15-time grand slam champion was expected to cruise through, but he netted a forehand when down a break point in the ninth game and Daniel made no mistake serving out the first set. When Daniel broke again in the third game of the second set, it appeared a stunning upset was on the cards. But, as he needed to, Nadal steadied, breaking back before racing through the remainder of the set to level the match. Nadal was much-improved from that stage as Daniel’s level dropped, the Spaniard avoiding a big scare to advance. Be the first to comment on "Rafael Nadal survives Daniel Toro test to reach US Open third round"